Please note, this post is part of a series. 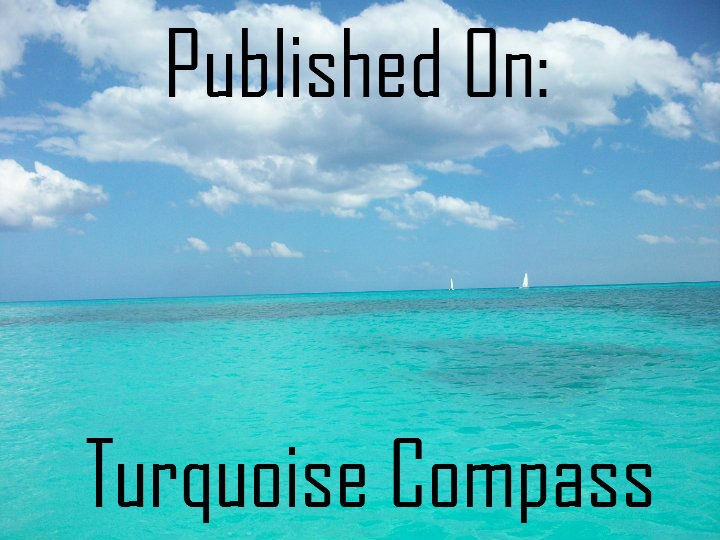 Click here to read it from the beginning. When you spend any time in South-East Alaska, it soon becomes apparent that a lot revolves around the cruise ship arrivals. In Haines, where I was staying, they receive one cruise ship at a time. 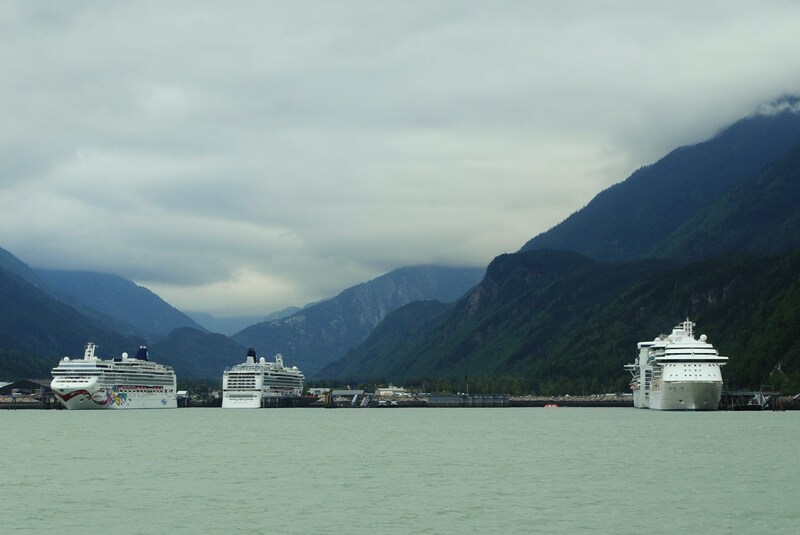 When I arrived in Skagway, there were four docked at the same time. Apparently, they have room for a fifth, this was a relatively quiet day. If you want to take part in excursions from either town, I suggest you check the cruise ship schedules first. If there aren’t any docked, the excursions don’t run. 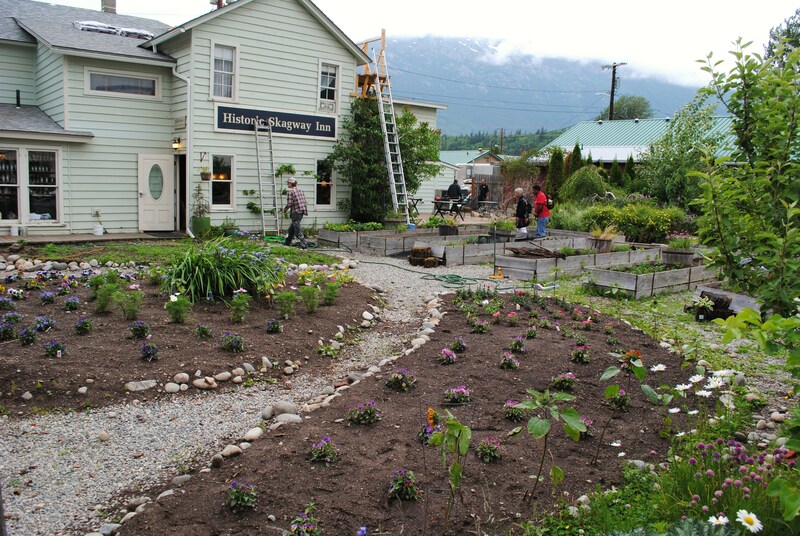 At one point when planning my trip, I’d considered staying over in Skagway. I’m glad I picked Haines instead. 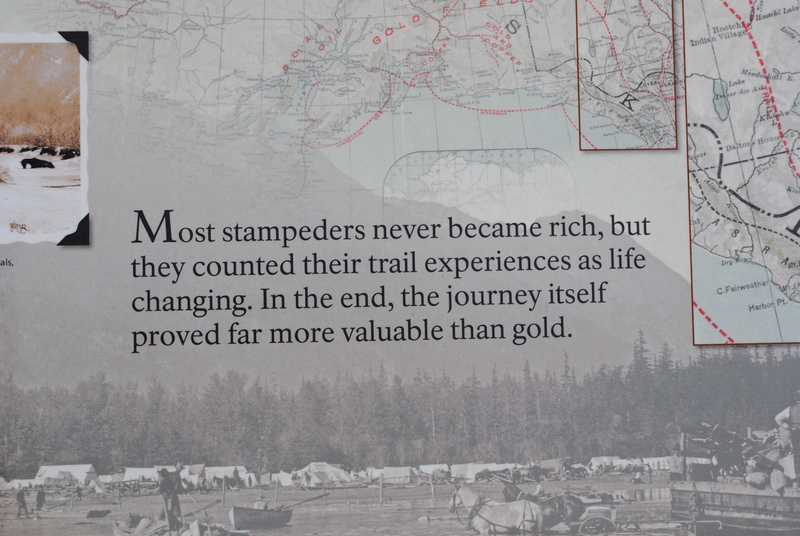 Right from Sacramento, I had been following the story of the Klondike Gold Rush. 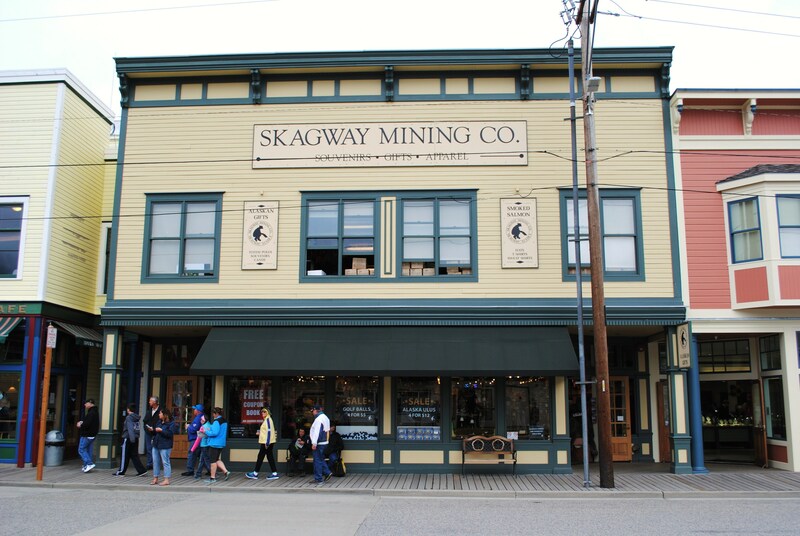 Skagway is the point at which all those hopeful young men would have set off on foot, or with horses if they were lucky, to claim their fortune. 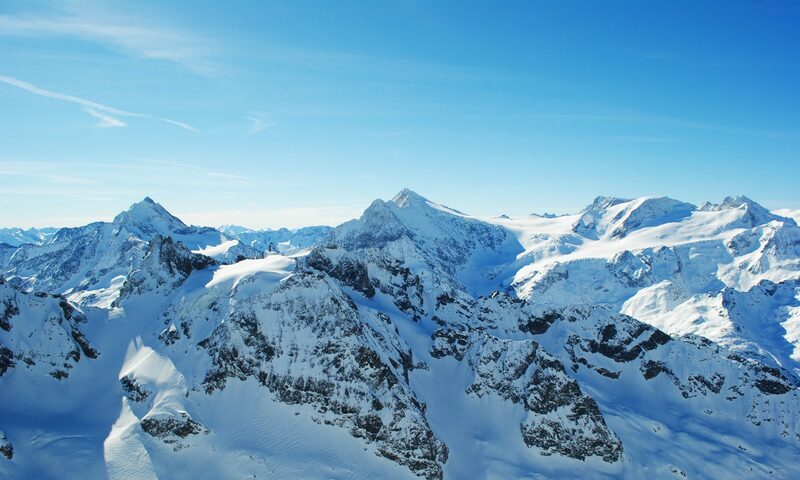 Although thousands went in search of gold, apparently only a few actually discovered any. 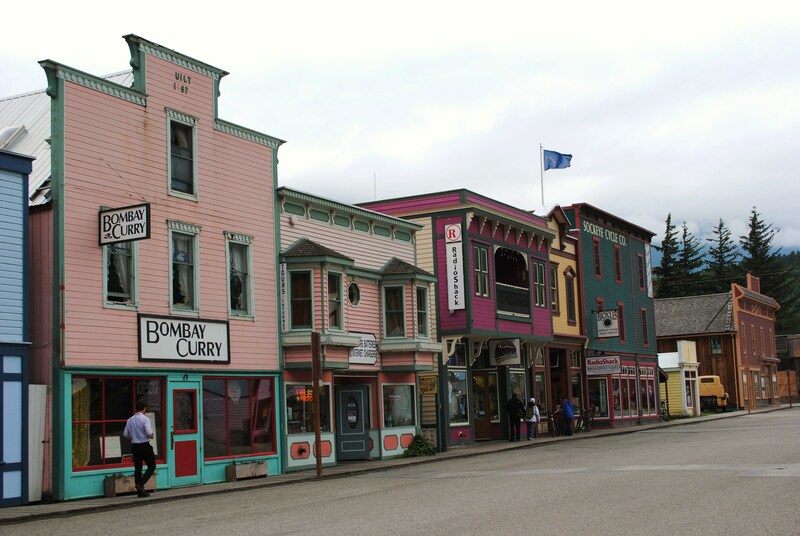 Many of the men returned to Skagway empty-handed, and set up businesses to sell to newcomers who didn’t yet know there was no gold. 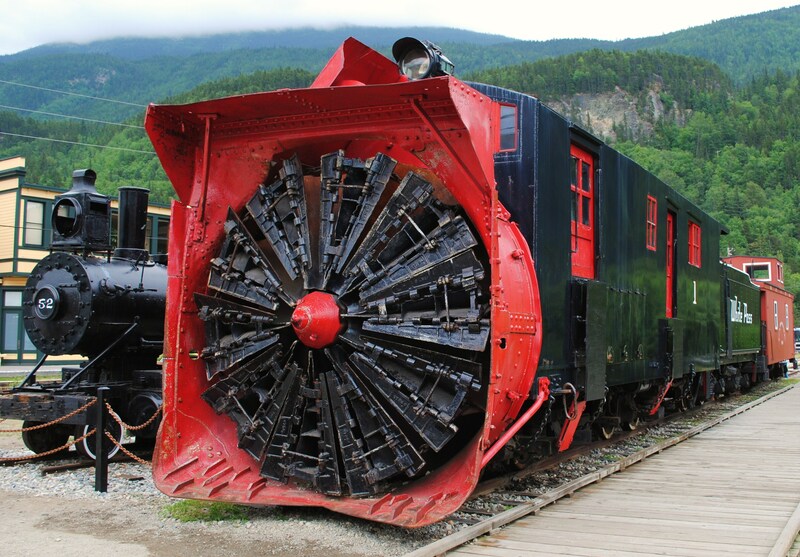 My main purpose of visiting Skagway was to join the White Pass & Yukon Route railroad excursion. 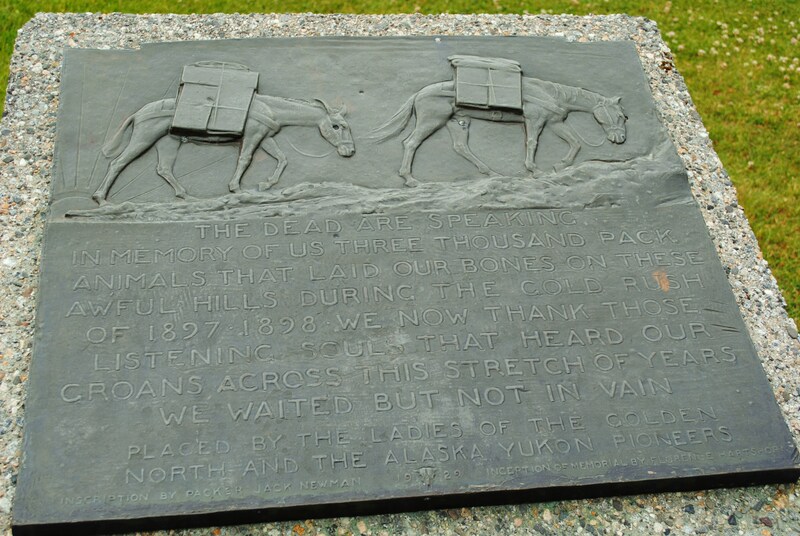 I wanted to say that I had visited the Yukon. Unfortunately, I wouldn’t get the chance, but more about that later. 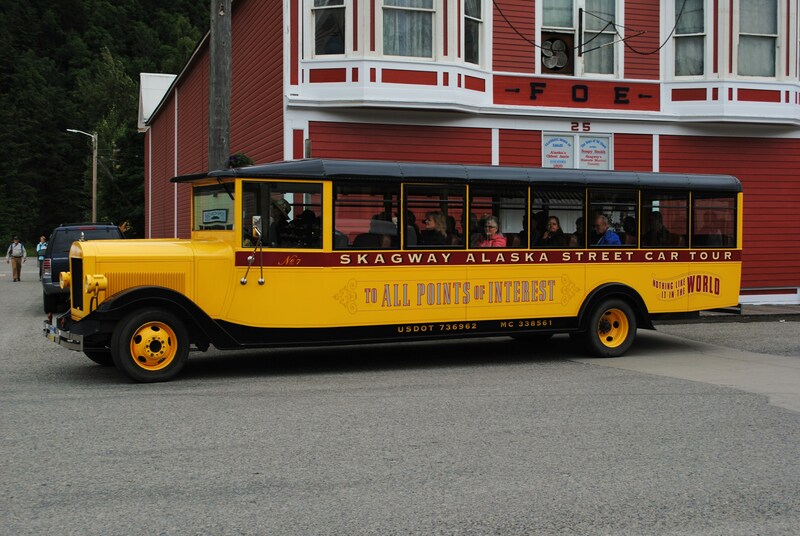 I’m glad I got to stop off in Skagway, though. However, I’m not sure who had the tougher deal. 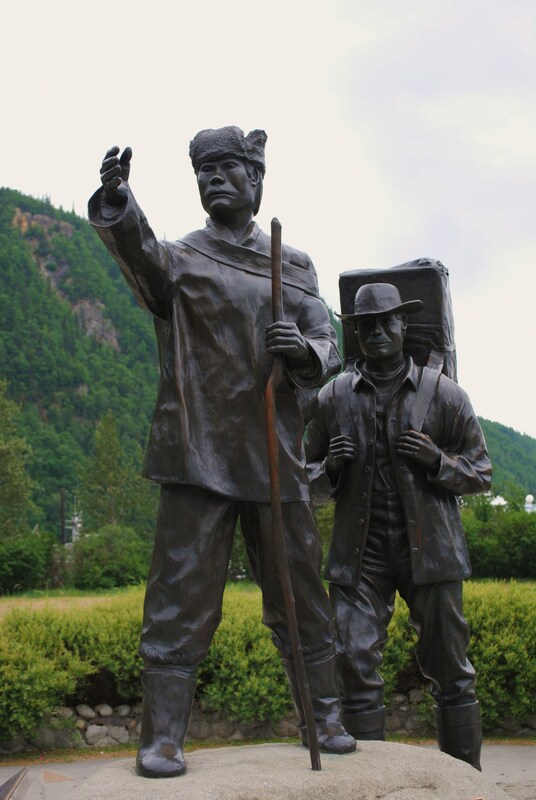 The early Gold Rush explorers faced with an unforgiving trek up into the mountains, or today’s travellers having to navigate through 10,000 American, Japanese and European tourists as they flood off the cruise ships. Love the photos! 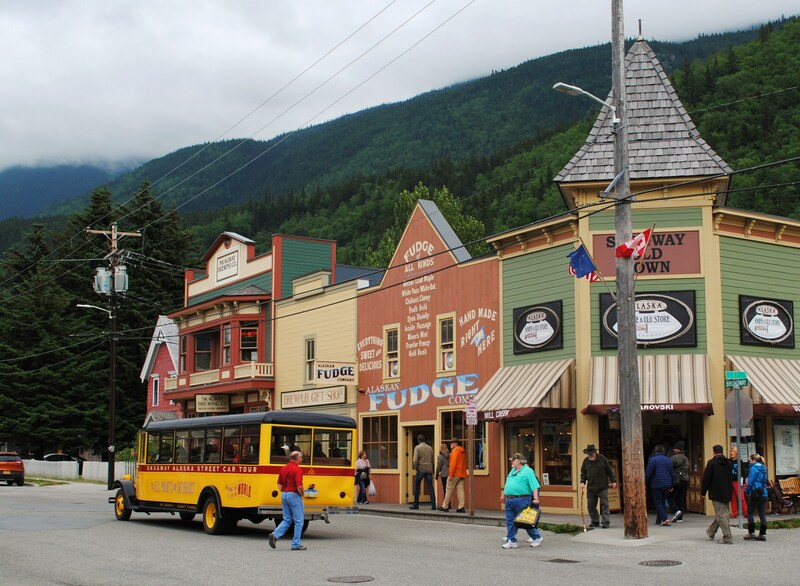 We recently visited Skagway, and I treasure the moments we spent in this little town between mountains and sea. And yes, we were on a cruise! 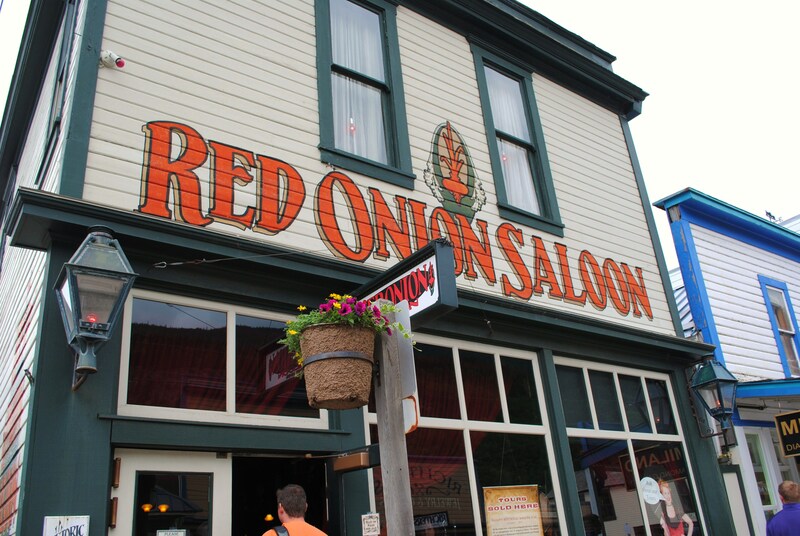 Did you eat at the Red Onion? Asking because of the pic.